Titus Andronicus is by far Shakespeare’s most violent play telling the fictional story of Titus, a general in the Roman army, who is engaged in a cycle of revenge with Tamora, Queen of the Goths. 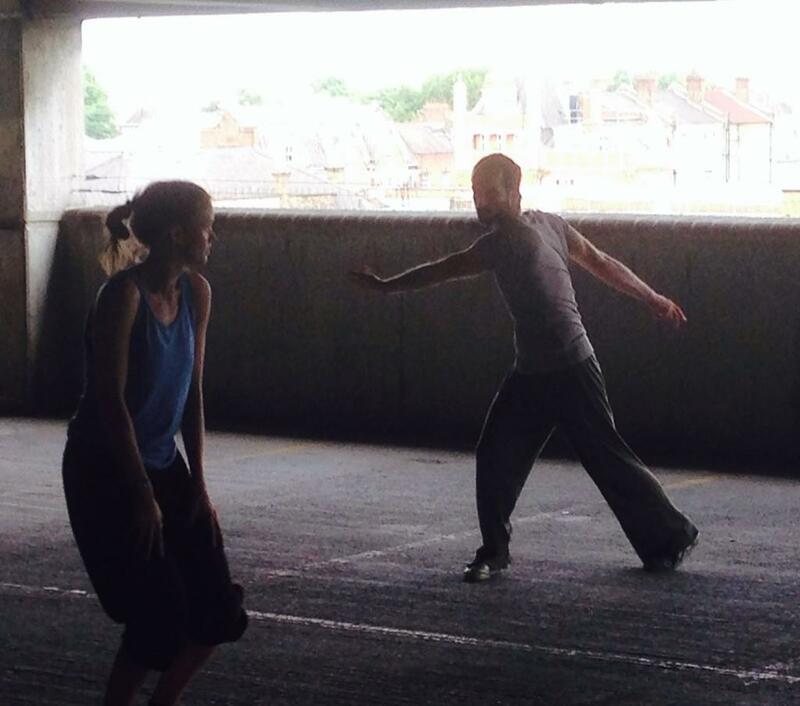 To stage this play in a car park in Peckham / London and put in elements of parkour and beat boxing seemed like an odd choice to me. However, I was intrigued and so I ventured to Bold Tendencies’ venue in the Multi Storey Car Park for the first preview of the first ever theatrical performance in this space. The first thing that has to be mentioned is the view. Standing on the top floor (tipp: get there early and have a drink or dinner in the rooftop bar) and looking over London is quite simply amazing. The actual performing space is located two levels below. The audience is relatively free to roam around during act one – I do think guiding the audience in key moments needs a little more practise as everyone seemed a bit unsure where to go from time to time. Act two takes place in another area in which the audience is seated on benches – my ultimate tipp here: If you manage to get a seat facing the London skyline you will have the most beautiful backdrop imaginable. The play itself has a very urban feel to it. Titus’ carriage becomes a car – apparently the actual car was not yet finished for the first preview but the one they used did the job so no complains here – and the characters are dressed in streetwear giving them an almost gang-like appearance. 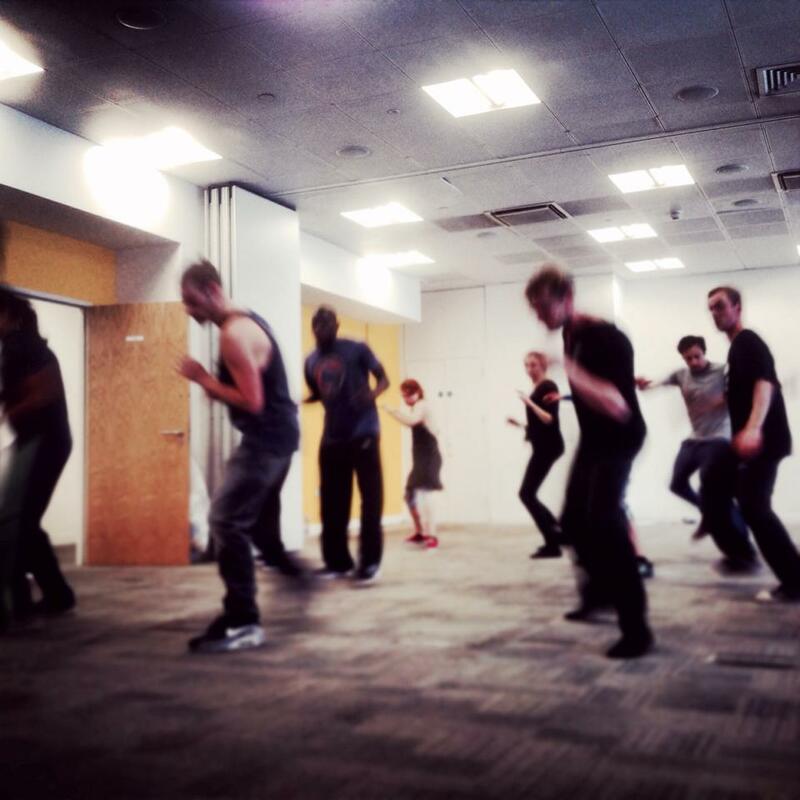 Beat boxing and background singing underlines key scenes and forms transitions between scenes. Adam Burton Plays Titus Andronicus with a brutal force. His Titus is torn apart by rage and grief and he commands the “stage” whenever he appears. Titus’ daughter Lavinia is played by Sonya Cullingford. Her portrayal of the broken girl – raped and mutilated by Demetrius and Chiron – is heartbreaking and one of the stand out performances in the show. The cast has obviously been selected both for their physical and their acting abilities. I have to give a special mention to Rob McNeill as Tamora’s son Demetrius who manages the stretch between a physically highly demanding part and a challenging acting role perfectly. This production of Titus Andronicus is unique and gripping. It feels raw and fresh – perfect for someone who usually wouldn’t even think about watching a play by Shakespeare. 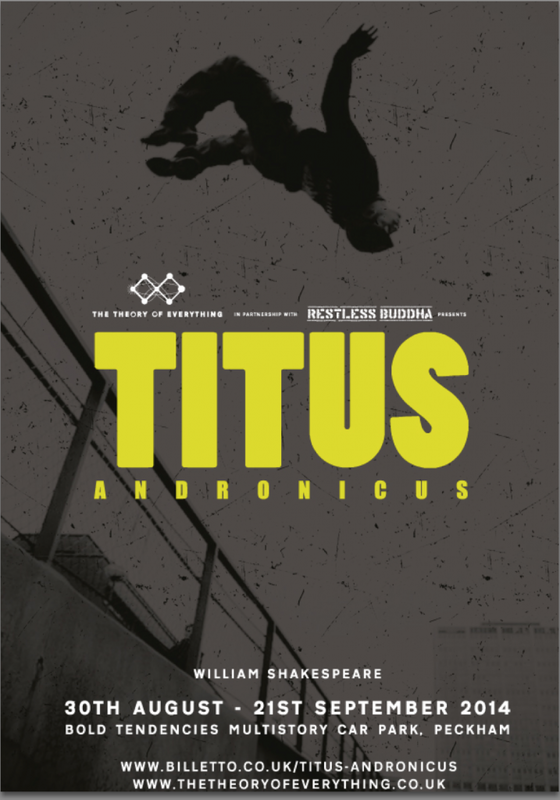 While Titus Andronicus is not Shakespeare’s strongest work this take on the story is so well designed and perfectly acted – I found myself fully engaged in the action and not just because I was standing just a few feet away from the performers and was stared down by Titus himself now and then. If you enjoy seeing something different and like to be thrown right into the action then this is the play for you. And if you simply like your Shakespeare then you don’t want to miss out on this mesmerising production either. Follow @TheTOEco on Twitter for up to date info. Great review. I’m excited to see this on Friday.